And now for something completely different: Dickens! 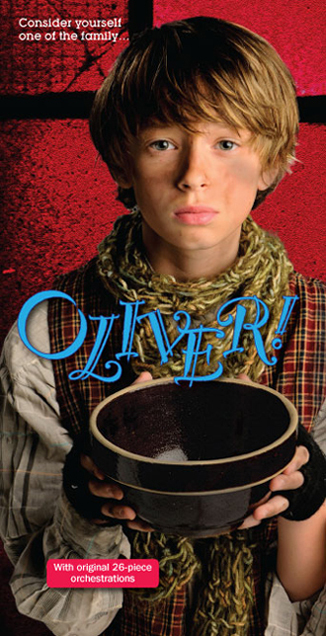 Michael Semanic as Oliver Twist in Light Opera Works' production of Oliver! Just when you thought you&apos;d had all the Dickens anyone could stand . . .
Dickens&apos; Women, Chicago Shakespeare Theater, Navy Pier, Thursday, Friday and Saturday only; 312-595-5600; tickets $50-$60. Charles Dickens actually did write about women — and not just Scrooge&apos;s dead sister and his long-lost love. To prove it, British actress Miriam Margolyes presents this one-woman show in which she portrays characters from the novelist&apos;s life as well as his work. She&apos;s in town for only a flying visit though, so see it in the next few days or forever hold your peace. Evening performances are at 7:30 p.m. and there&apos;s also a Saturday matinee. Oliver!, Light Opera Works, Cahn Auditorium, 600 Emerson Street, Evanston; opens Saturday (the 22nd) and plays through New Year&apos;s Eve; 847-869-6300; tickets $32-$92 with some half-price availability. Fun facts to know and tell: Davy Jones of The Monkees&apos; fame played The Artful Dodger in the original London production of this musical based on Dickens&apos; Oliver Twist. I&apos;ve never been able to get through the novel myself, but the musical is superb; it would be worth the price of admission just to hear the vendors&apos; cries blend subtly into "Who Will Buy?" You can always count on Light Opera Works for top-notch singing, so this is the place to go if you love the show or if you&apos;ve never had a chance to see it. And the unrepentantly wicked Bill Sykes makes a refreshing change from that guy — what&apos;s his name? — who let a few cheesy visions change his whole perspective.